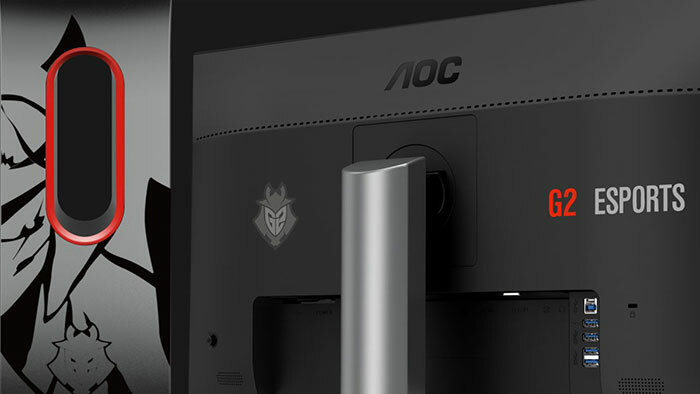 AOC has launched a new gaming monitor, its first display designed in partnership with the G2 Esports organisation. The new AOC G2590PX/G2 is based around the design of the "acclaimed G90 Series of AOC Gaming monitors" (and in particular, very similar to the G2590PX) and in this edition is made to fit in with the "G2 vision of competitive gaming" with its metallic stand, silver finish and G2 Esports art front and back. For a bit of background history, G2 Esports is based in Berlin, and was formed in 2013. The founder of the organisation is Carlos 'ocelote' Rodríguez, pictured above. 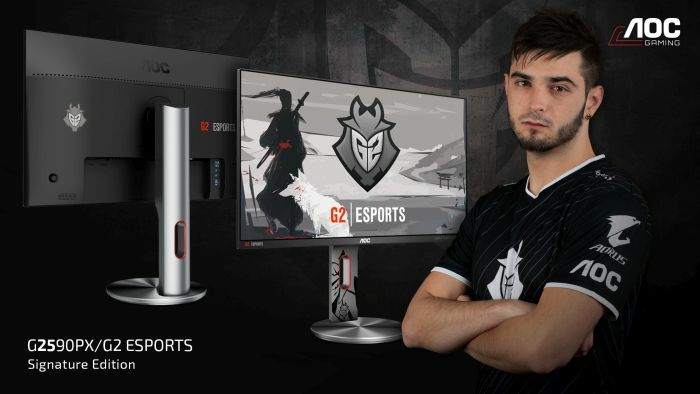 G2 Esports has been an AOC partner since January 2018 and now all the team's training facilities have been equipped with AOC's cutting edge gaming displays. This partnership has reached new heights with the release of the AOC G2590PX/G2 Esports Signature Edition gaming monitor. In addition to the above you have access to AOC features such as Shadow Control for bringing details out of the darkness without affecting the rest of the display profile. AOC has told HEXUS in an email that the new G2590PX/G2 Esports Signature Edition gaming monitor is "available now" and it has set a recommended price of £329. 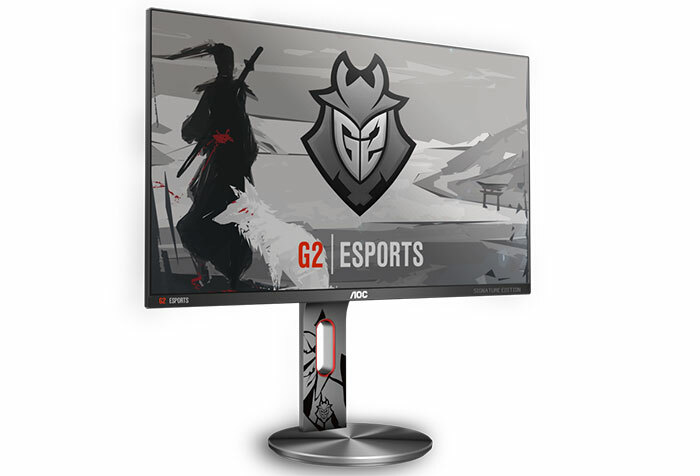 I just checked some online retailers and the non G2 Esports accessorised version of this monitor, the G2590PX, can be found for around £220. But it marked as esport (it is more premium name than “gaming”, inst it? )! And has esport logo! And not only that. It has also some random guy pictured next to it. How can you be so focused on things so irrelevant as monitor specification! Just look at the awesome logo at the back! You will probably never see it, but it will be there for you. Just imagine when you are sad and have to connect a cable to the monitor, the awesome logo will cheer you up! What is more important? What is more important than happiness? Ant that painting over the stand? You can spit your coffee on it and no one will ever notice that is not a part of the art. I bet you will get the wallpaper for free as a gift! Nice deal huh? You probably missed that. That makes the esports logo worth about the same as a gsync logo.